Are you involved in a car crash or are you an eyewitness? Send us the address and a picture of the road accident through facebook or twitter (#crashvertise). Our CRASHVERTISE Team will be immediately on the spot. Reports are evaluated on a revenue sharing method. In this way, every time you are a witness or you are involved in a car crash you could cover damage costs or increase your earnings. Do you want to cause or simulate little road accidents? Ask soon the CRASHVERTISE kit and became an agent. 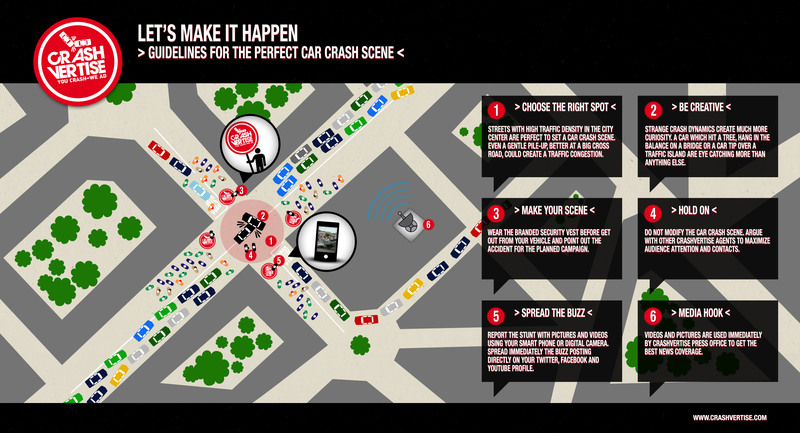 Streets with high traffic density in the city center are perfect to set a car crash scene. Even a gentle pile-up, better at a big cross road, could create a traffic congestion. Strange crash dynamics create much more curiosity. A car which hit a tree, hang in the balance on a bridge or a car tip over a traffic island are eye catching more than anything else. Wear the branded security vest before get out from your vehicle and point out the accident for the planned campaign. Do not modify the car crash scene. Argue with other CRASHVERTISE Agents to maximize audience attention and contacts. 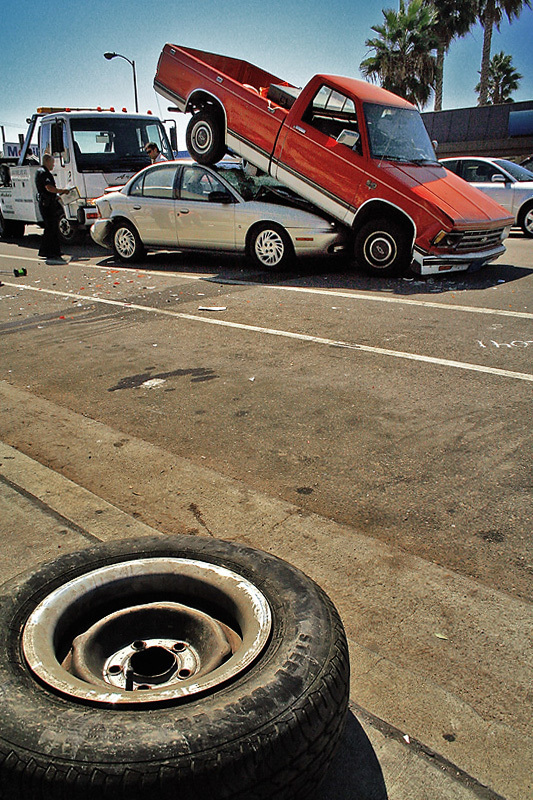 Report the stunt with pictures and videos using your smart phone or digital camera. Spread immediately the buzz posting directly on your twitter, facebook and YouTube profile. Videos and pictures are used immediately by CRASHVERTISE Press office to get the best news coverage.